KB Glass offer the design, manufacture and installation of commercial shop fronts in Lewes. We offer a range of materials such as timber, uPVC, aluminium, glass and frameless glass - if required we can advise which would suit your shop best. Get in touch today for your free quote! Your commercial shop front is the most vital part of your business. It is what showcases your products to potential customers, and it is what protects your stock. We understand that security is a huge factor in your business, therefore we always use premium quality glass which offers optimum security and thermal performance advantages. 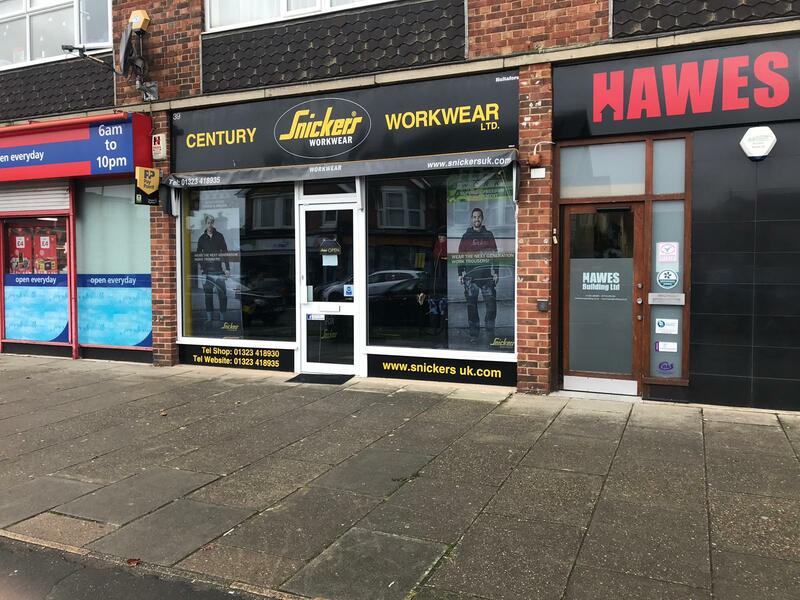 We combine state-of-the-art technology alongside top quality materials to create a shop front which suits your business and makes you stand out. We have experience with all sectors, designing and fitting glass fronts which perfectly reflect their brand image. Not only do we create fronts for commercial businesses, but we can also repair glass fronts and return to them to their original form. Dependent on what look you want to create and what finish you would like - we offer a range of materials to suit your requirements. We get to know your business and it's requirements and recommend a material which suits you. 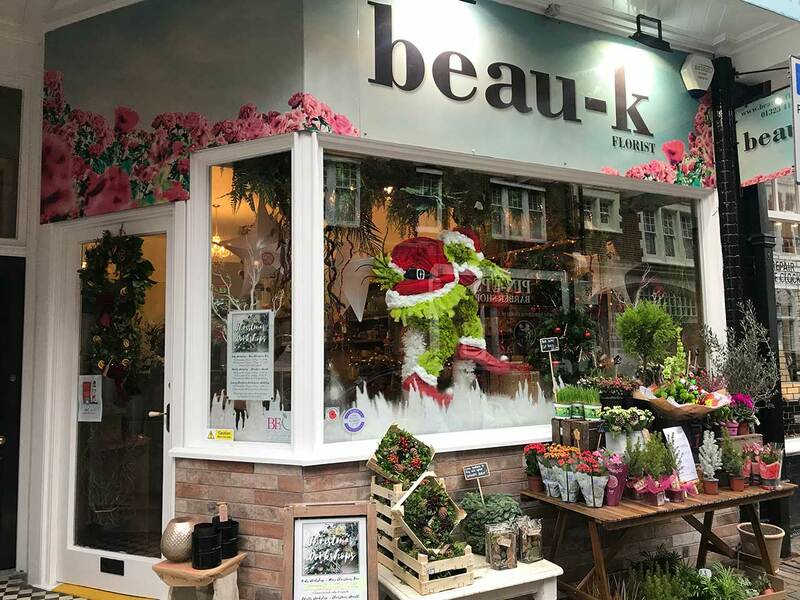 Glass fronts and frameless glass fronts are a popular choice as they offer your customers an uninterrupted view of your shop. We offer both clear and tinted glass options to suit your business, we even have matching doors to complete the look. We tailor our service to suit you, making each front entirely unique. Aluminium fronts are a brilliant option of you are looking for a durable and versatile shop front. Aluminium can be fitted in all businesses, from small shops right up to huge commercial companies. It provides a high level of security and can withstand all environmental and industrial corrosion whilst coming in a range of colours and styles to suit every business. We offer a range of aluminium doors to match your shop front in a range of colours and designs. Timber fronts are a stunning option which offer both durability and tradition within their design. This option is perfect if you are in a listen building or conservation area and do not want to discount from the areas beauty. Timber designs can be tailored to your individual needs, to create something bespoke and stunning for your shop. How much is a new glass front? 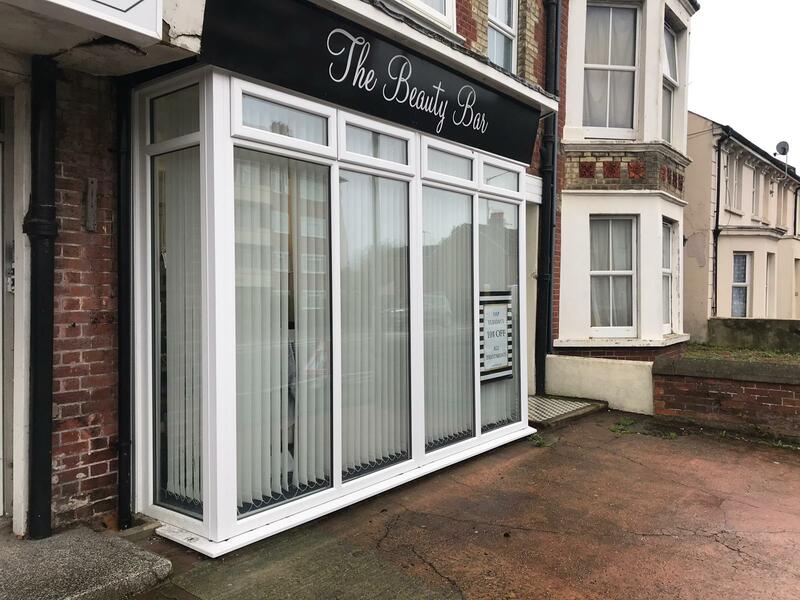 We understand that many businesses, especially small, independant company's like us, are concerned that a new shop front may be expensive. We are pleased to offer low-cost options to suit every budget. We can work around your business hours to ensure minimum downtime for your business. For your free quote, simply fill out the form at the top of this page or contact us on 01323 411028. We will set up a site visit and provide you with a free, no-obligation quote. For professional service from proud members of Checkatrade, FENSA and the Plastic Window Federation, look no further than KB Glass.